First Place: Pretty Flours, Portland, ME. Judges loved her lighting (which is very tricky to photograph in the Sports Complex!). It illuminated her products perfectly! You couldn’t ignore her product!. First place receives $375 credit toward the 2019/2020 NEM show. 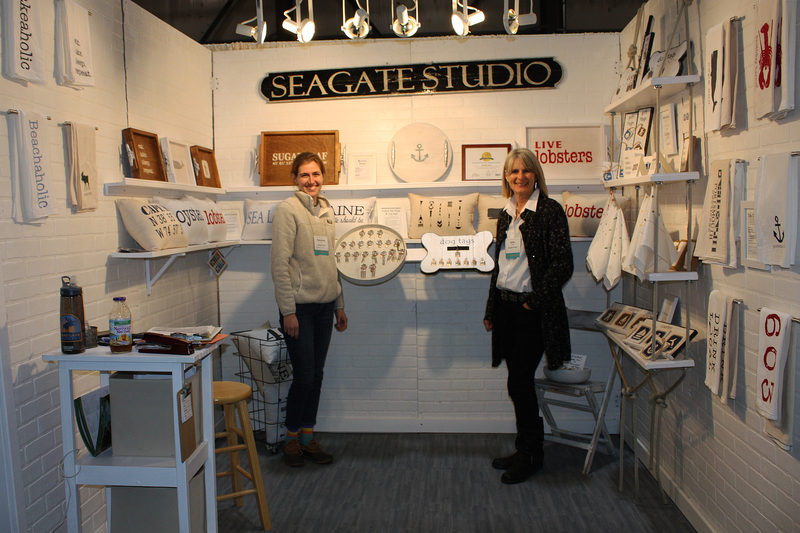 Honorable Mention: Seagate Studio, Portsmouth, NH. Judges loved the different levels for product display (check out that shelf on the right!) and how easy it was to view all their different products!. Honorable mention receives $150 credit toward the 2019/2020 NEM show. 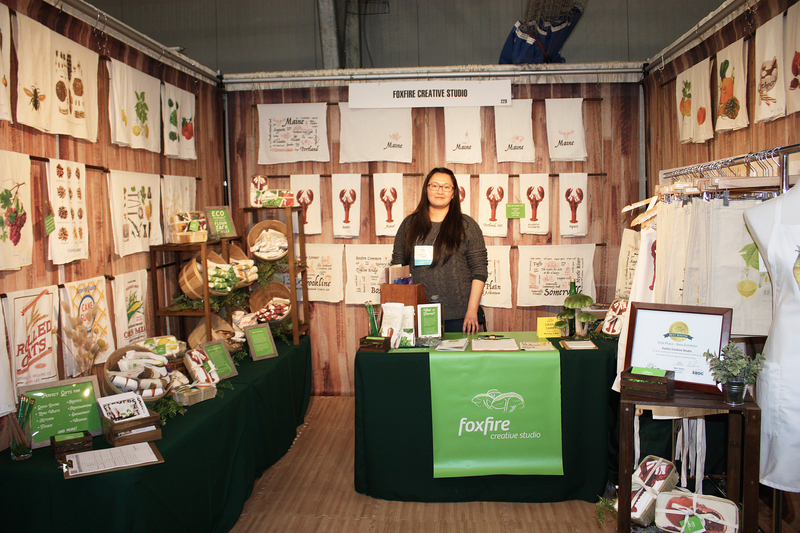 First Place: Foxfire Creative Studio, Boston, MA. Judges loved the backdrop which helped highlight and brand the product. 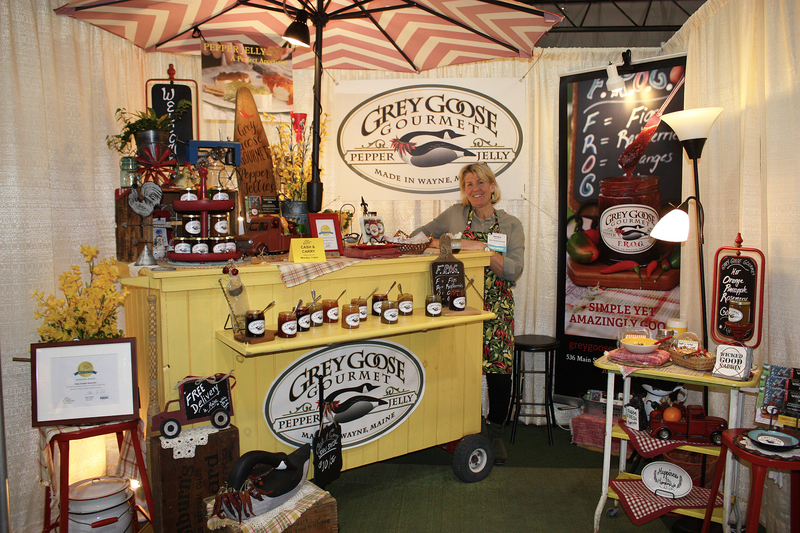 She also used various different merchandising techniques to display her products. First place receives $375 credit toward the 2019/2020 NEM show. 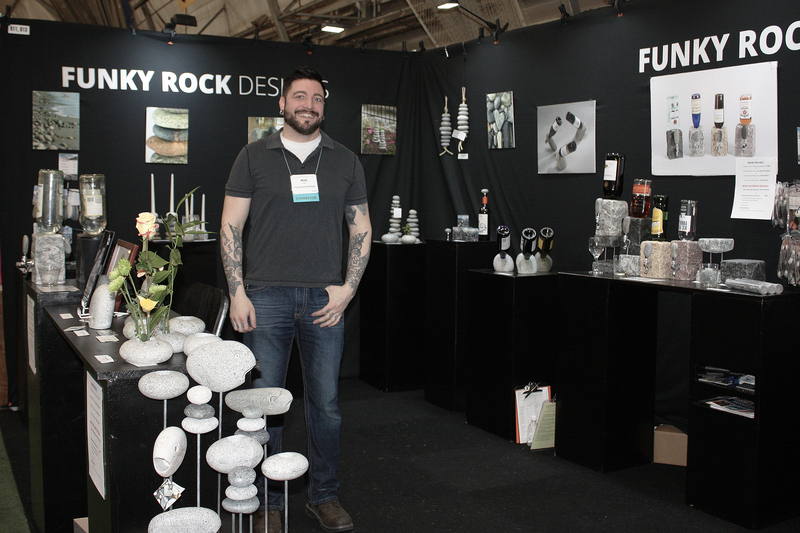 Honorable Mention: Funky Rock Designs, Portsmouth, NH. 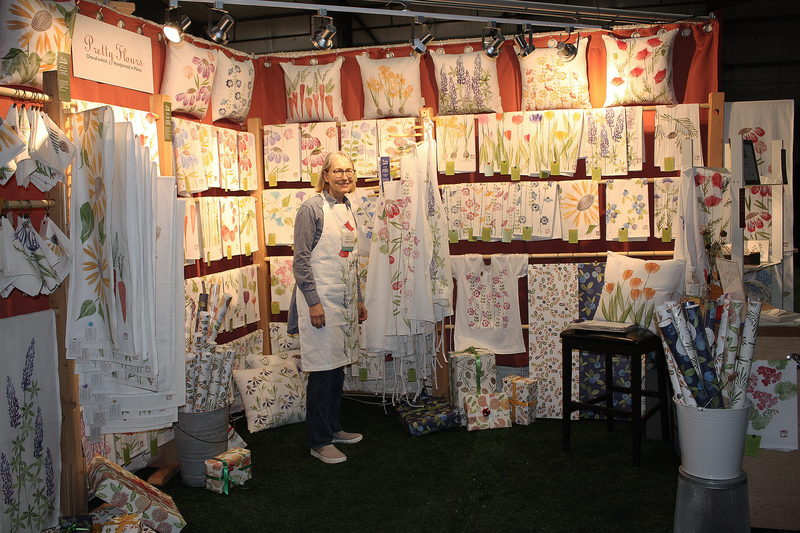 Judges loved this clean, spacious booth which invited buyers in to take a closer look at the innovative products. Honorable mention receives $150 credit toward the 2019/2020 NEM show. Entwistle Award: Grey Goose Gourmet, Wayne, ME Judges loved the creative display techniques which set a scene and complimented the products well. The Entwistle Award receives $150 credit toward the 2019/2020 NEM show.